The course is organized by the Middle East Institute at Columbia University and has been approved by the NYC Department of Education After School Professional Development Program for professional development credit. 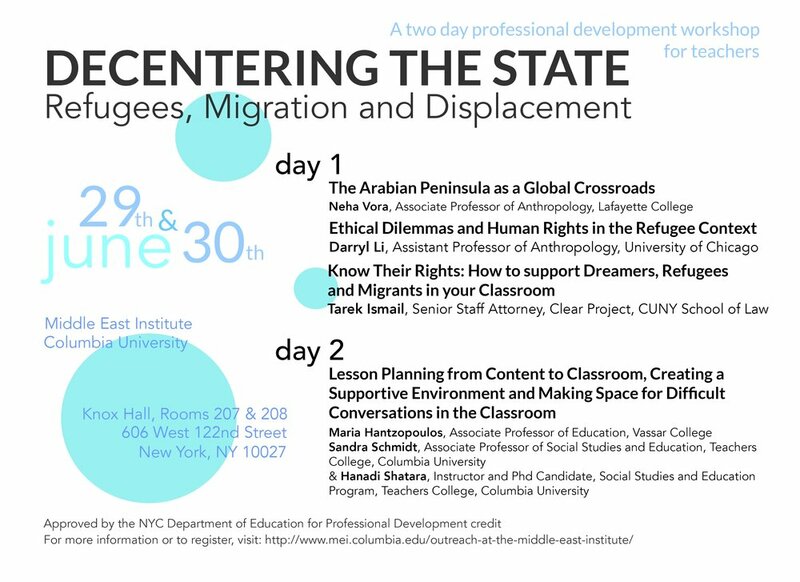 If you are a teacher and would like to take the course for PD credit, please register directly on the NYC DOE After School Professional Development Program website and also on the Middle East Institute website through this Google Form. Further details about registration is provided below.